Brand new website, yourbeerinfo.com launches to educate and entertain beer lovers with engaging content and reviews. Foulridge, United Kingdom - February 11, 2019 / / — Beers of all varieties are becoming more and more popular around the UK. With microbrewers popping up in various major cities and many people experimenting with homebrew kits in the garage, there is clearly a surge in interest in beer. From the darkest and most bitter stouts to the lightest lagers with slices lime, there is a brew for everyone. Yourbeerinfo.com is the go to site for all things beer-related. The website has a sleek design with just 3 categories for ease of use which include: beer at home, beer and fun and games. All the content is readily available on the homepage too so if the reader is just browsing, they are sure to come across something interesting very quickly. The branding is simple but effective with the colour of the first perfect pint of the evening forming the basis of the colour scheme. There are plenty of reviews to look at including mini-keg reviews and bottled beers from around the world. The reviews cover all the basics including appearance, smell and taste but they also go into more detail about how the particular beer came to be. For example, did you know that Lucky Buddha is brewed with rice? But Your Beer Info isn’t just about reviews. There is plenty of content to intrigue beer drinkers here from examining the potassium content in beer to exploring whether beer can actually expire. Almost every angle is covered so that any beer drinker can find something they are particularly interested in as well as have the chance to discover something new about their favourite beverage. Beer Info is an Amazon Affiliate site and is linked to a couple of online communities on Facebook, Instagram and Pinterest so avid readers can follow online and get the latest content as it appears. This means that readers won’t just get great content, they will also be able to see the best deals available for relevant products without the pressure to buy. For more information about Your Beer Info, please contact Daniel on 01282 504797, or email hello@yourbeerinfo.com. 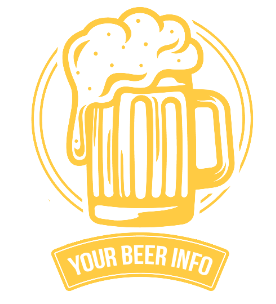 Please address any postal queries to 4 Moorview Close, Foulridge, BB8 7PX and don’t forget to check out their website https://yourbeerinfo.com for all the information you could ever need about beer!